We knew when we planned our trip to Croatia that we wanted to visit Split but when it came time to plan our trip, I found Split to be really expensive and the Airbnb options didn't seem worth the expense, so we set our sights on Trogir, which a short trip from Split by bus or boat and ended up being well worth it! 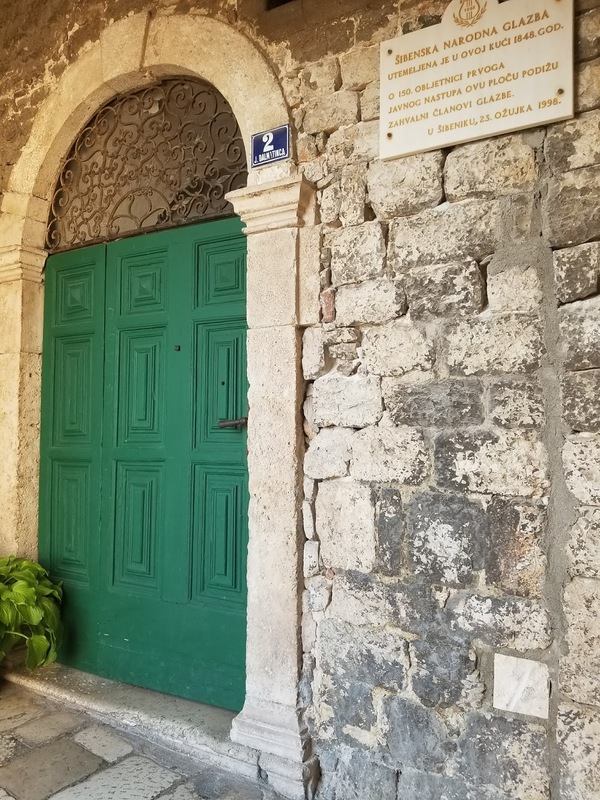 Our first morning in Trogir, we woke up to a flooded apartment! The Pilot was the first out of bed and stepped into about an inch of water that covered the entire bedroom! That wasn't pleasant! We got in touch with our hosts and tried to clean everything up as best as we could and get ready - thank goodness none of our suitcases or anything got wet since they were on the other side of the room that didn't get wet! 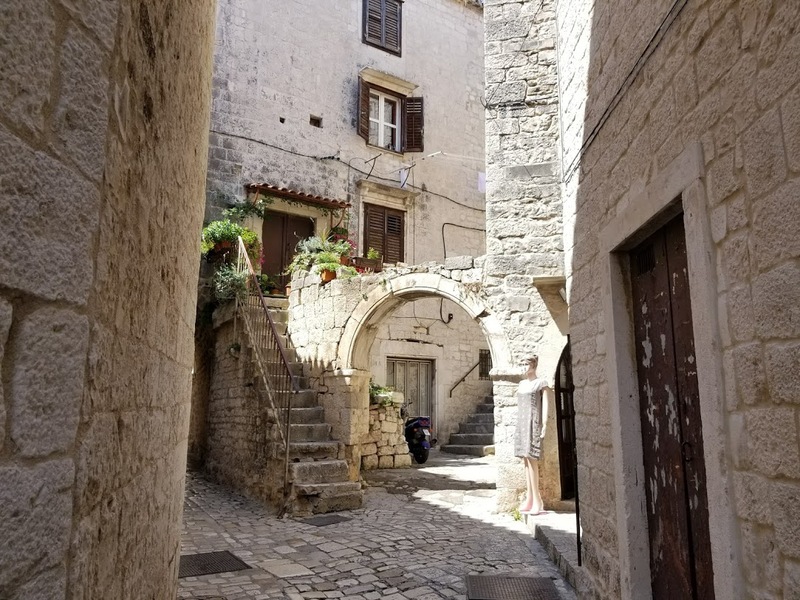 Trogir feels a lot like Dubrovnik except much smaller and more condensed. We had gotten in late the night before and everything was so dark and quiet. It was really refreshing to wake up to an abundance of light and the sun shining off all of the stone walkways! 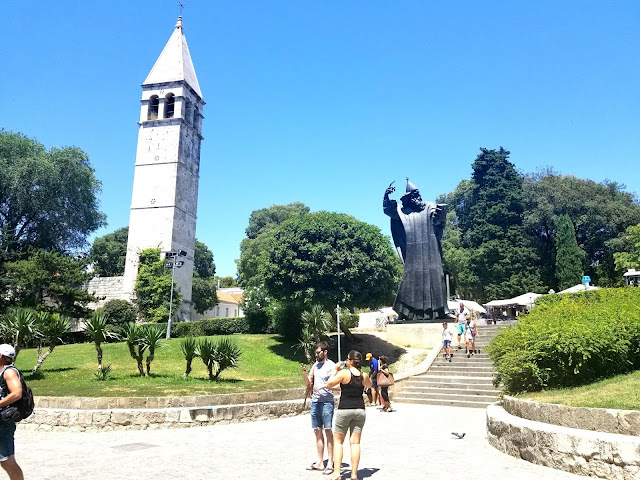 Our first stop in Trogir was to St. Lawrence Church, another UNESCO World Heritage Site. We explored the church and then made an attempt to climb the bell tower. Here's a confession: I don't love heights. Neither does The Pilot. We were halfway up the bell tower and I completely chickened out! Nice views are nice views but sometimes, when your stomach is in your throat, it just isn't worth it! We spent the morning and early afternoon wandering in and out of all of the little shops in Trogir and quickly realized that this village is really small, but super cute! 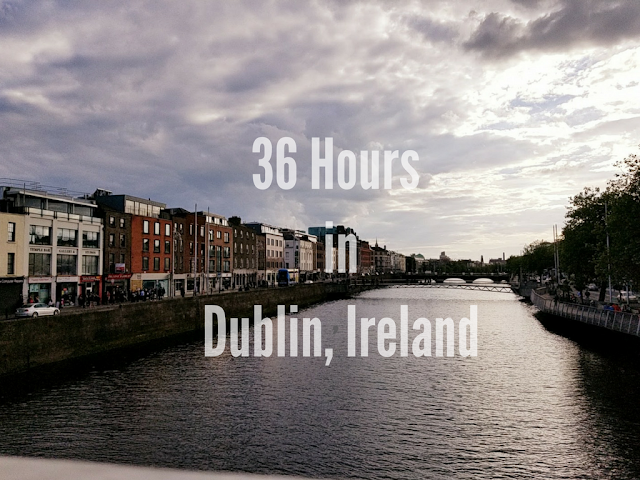 We had probably walked the entire city three or four times before noon! We walked to the Kamerlengo Castle, a fortress at the edge of the village that was built when Croatia was under Venetian rule. The views from the Castle were stunning and definitely satisfied my desire for good views without the death-defying climb up an 800-year-old tower! 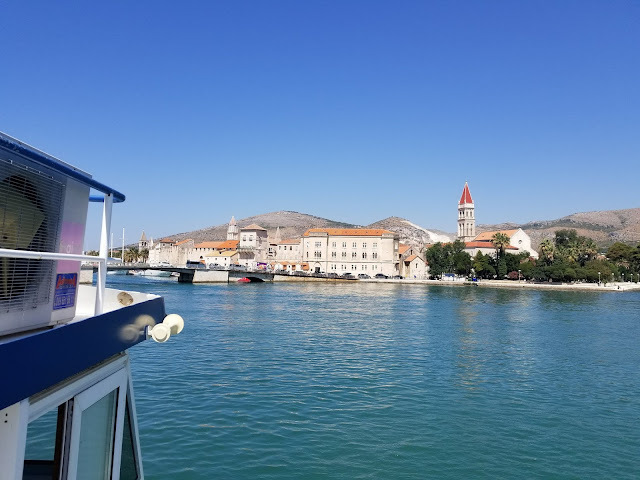 Having seen all of Trogir, we were a little bit lost for what to do next and decided to head into Split, which we hadn't planned until the next day. We took the bus, which took about 35 minutes and was really easy. I have to say though - our first impression of Split was not a good one. The waterfront is a mess and smelled awful! There was tons of traffic and congestion and I was really starting to be confused as to why so many people recommend Split! 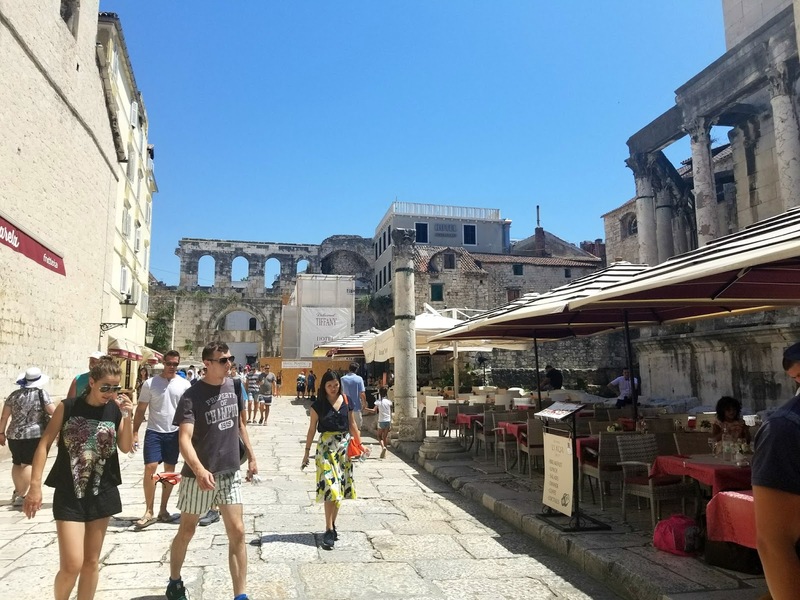 There were a bunch of commercial retail stores like Mac, United Colors of Benetton, and Birkenstock, which we hadn't seen anywhere else in Croatia. 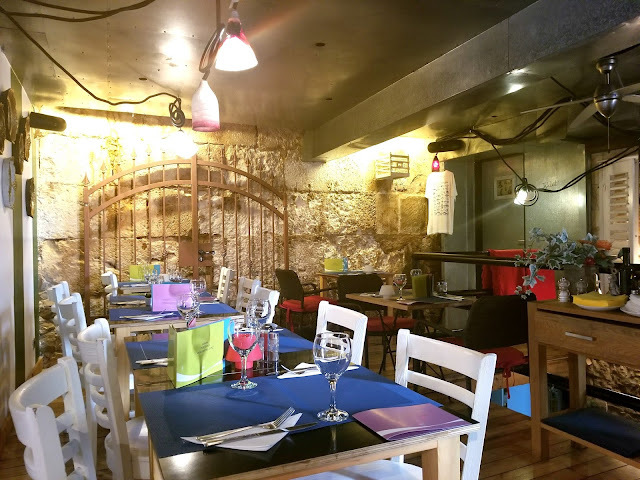 We made our way into Diocletian's Palace and found a spot for dinner that was recommended by some friends. It was a great family-owned place! Our waitress told us that her parents owned the restaurant. Her mom does all of the cooking and her dad fishes for all of the seafood himself every morning. She and her best friend wait the tables together and the family makes their own wine! I ordered shrimp scampi complete with heads and antennae and I thought my husband was going to leave me when I ripped off a shrimp head and it flew out of my buttery fingers and flew into his drink! He doesn't eat seafood and is really grossed out by it. 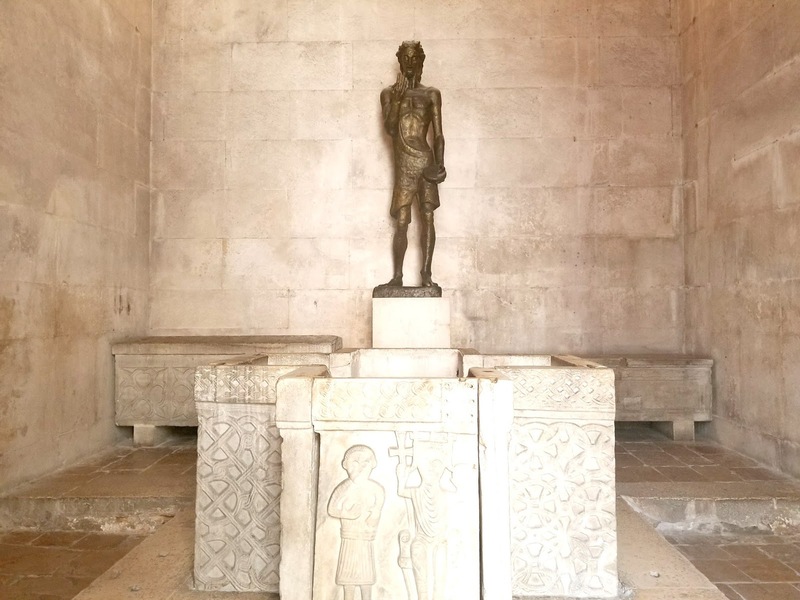 Even though we didn't love Split, we wanted to give it another shot though so we booked a tour of Diocletian's Palace the next morning and took the boat from Trogir to Split. This was so much more pleasant than the bus! The boat was insanely slow but it was a beautiful trip! Our tour was fascinating. We were the only people on it too, which was awesome! We learned all about how the Diocletian's Palace is the oldest living city in the world, built by the Romans and inhabited ever since. Despite its name, it's not a palace, but a city. It was built as the palace grounds with the idea that the city would service the palace. The palace residence no longer stands, but you definitely still get a feel for what it was like in Roman times! It was really interesting to see how much has changed, especially in areas where you can actually see how things shifted from Roman rule to Medieval rule (they kind of ruined it) to the present day. We bought a pass to all of the historical sites in Diocletian's Palace, from the Cathedral of Saint Dominus (which we again tried to climb and again chickened out) to Jupiter's Temple. By the time we finished our tour, it was sweltering outside. We went to lunch at another family-owned restaurant called Konoba kod sfinge. We were drawn in by the air conditioning and were not disappointed. This was true Dalmatian food, unlike anywhere else we had been. We had octopus drenched in a red wine sauce, squid ink pasta, and a flourless chocolate almond cake that was absolutely incredible. 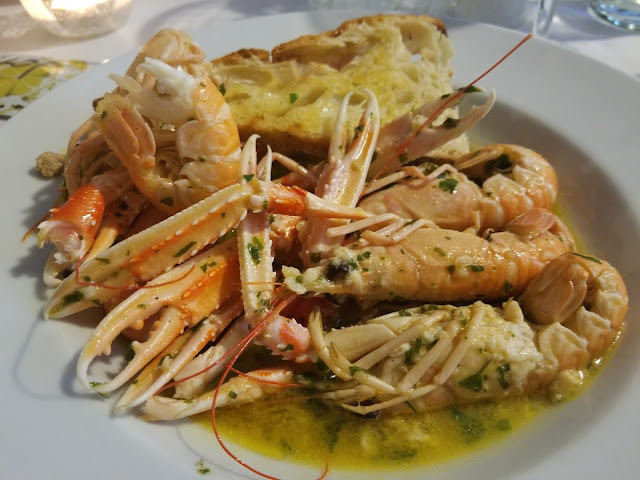 I mentioned that the restaurant we stopped at on the Peljesac Peninsula was my favorite meal in Croatia but this was a very close second! After lunch, we left the Palace and wandered around an awesome flea market right outside that had old passports from Yugoslavia, Czechoslovakia, as well as old European currency - dinar, marks, francs, lira, etc. It was really cool! I definitely liked Split much better the second time around. Our first impression really wasn't great! 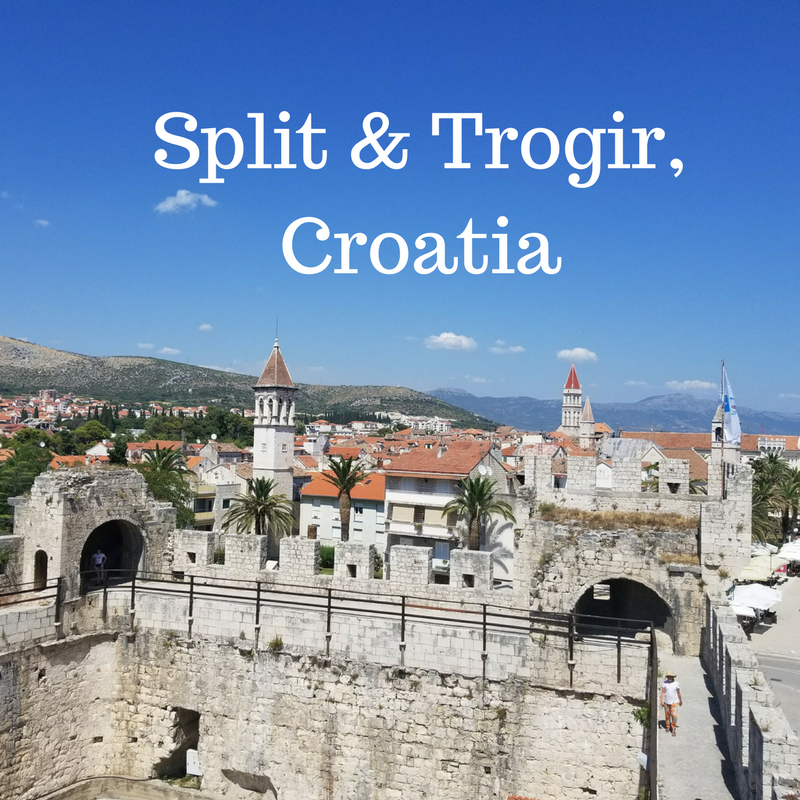 And while Trogir was tiny, I'm definitely glad we chose to base ourselves there instead of in Split! It was about 4pm when we left Split to head back to Trogir. It was probably the hottest day we had seen in Croatia, so we decided to take a trip to Okrug to visit Ciovo Island (about a 15-minute boat ride from Trogir) and check out the beach. 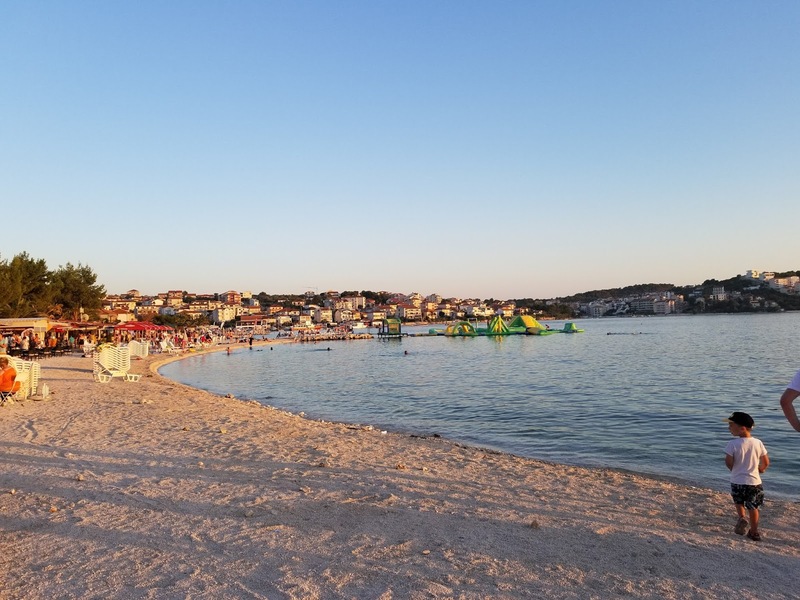 Unlike what we had seen in Dubrovnik, Ciovo Island had a true pebble beach that was smooth and easy to walk on. The water was also surprisingly warm and we dove right in! 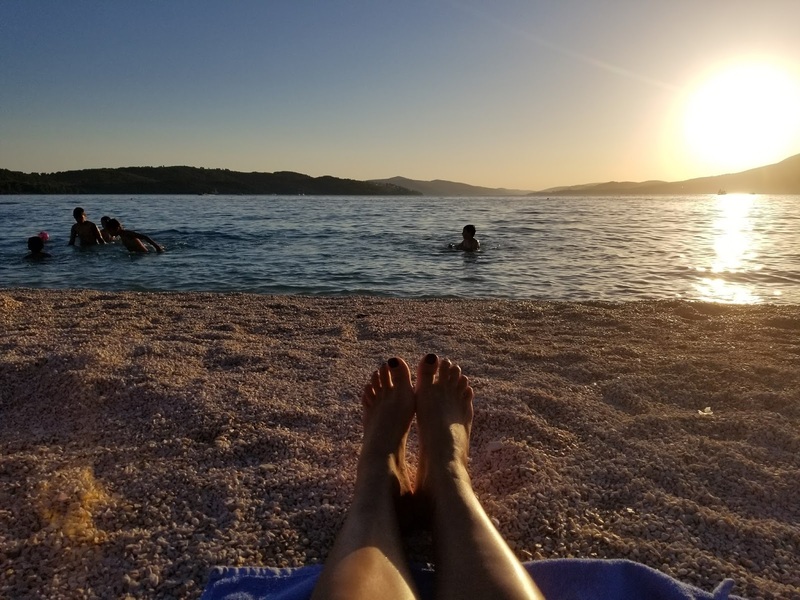 We spent some time cooling down in the water (which was insanely salty) and then laid out on the pebbles and watched the sun set on our last night in Croatia. Just lie that, it was time to head home. We flew out of Split back to Munich and made our way back to DC. Croatia was very different than what I expected but it was a really great trip and I'm so glad we went! I would definitely recommend the same trip we took, just maybe at a different time of year! As someone who thinks winter is anything below 60 degrees, I was surprised at how uncomfortably hot I found it to be in July! Is Croatia on your list?